Neither have we. We attempted to login to the new sermon dashboard a few weeks ago when it was announced as beta, but there is some issue with the username/password credentials that we use for the main SermonAudio site. We can log into SermonAudio, but not the new dashboard. Thinking it was a rollout glitch, we just used the old sermon upload tool. Today that tool is gone, and the dashboard is 100% live which means we cannot presently upload this morning's message. I will open a support ticket next. This sermon is so relevant for the times we live in. Thank you for the solid biblical teaching and encouragement. 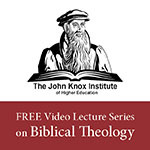 Where can I find the other four sermons in this series, "Holiness in the Christian Life"? I would very much like to hear them too. Clearly spoken and true. May the Lord help me not forget the heart of my problems are not without but within. Thank you.